Observational health research in Europe: understanding the General Data Protection Regulation and underlying debate. 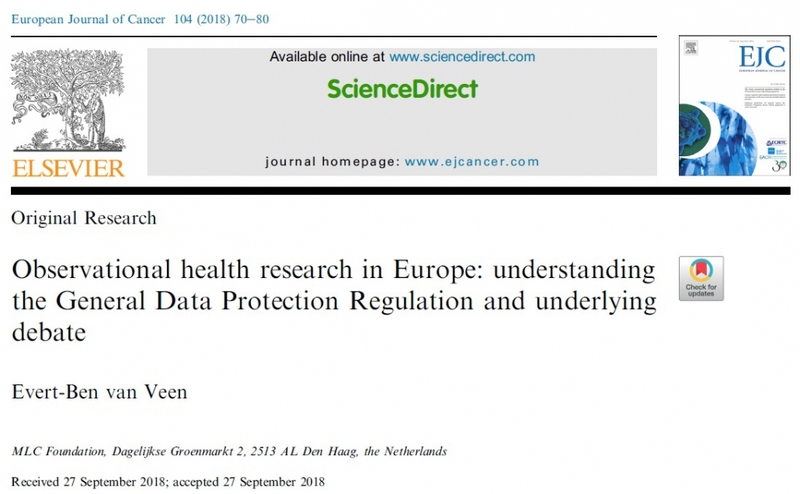 Evert-Ben recently completed an article for the European Journal of Cancer on how to interpret the GDPR (General Data Protection Regulation) in the context of observational health research. The article can be viewed here, and a pdf downloaded here.